Join Surge Studio for our summer dance camp! Get the full Surge experience for 1 jam-packed summer with us! Our dance camp sessions take place Monday-Thursday. Remember, if you are unable to join us for dance camp fun, we will have 1-time dance workshops throughout the summer as well. Don’t forget to ask about our sibling discount rate! SPOTS ARE LIMITED! *All registration, including payment/deposit, must be finalized 1 week prior to registered session. **There are NO REFUNDS at this time. However, you can credit any deposits or payments to any other Surge Studio service. This camp session involves beginner movement in Ballet, Hip-Hop, creative movement, and Acro. Young dancers will engage in dancing, activities, and games that enhance listening skills, coordination, and self-awareness. But most importantly, the kids will have fun surging with us! Each day there is a snack and fun art craft included during the session. *BONUS* Registration before July 1st allows any child to receive a FREE tutu or FREE teddy bear! 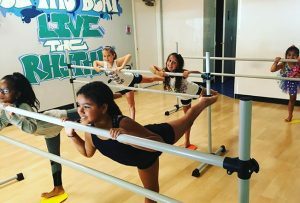 Our Petite Dance Camp includes developing skills in Ballet and Conditioning, Hip-Hop, Musical Theater/Acting skills, and basic Acro. Dancers will have a thorough warm up before delving into basic Acro skills, including cartwheels, aerials, and contortion work. Participants will be busting a move with Hip-Hop during the week, along with learning Broadway-styled Jazz technique! There is also development in acting with partnering activities, monologues, and more. Students will be learning basic technique in voice with breathing exercises, vocal scales and octaves, and learning a song. A snack is included each day. So much to learn while shining bright at Surge! Our Junior Dance Camp includes developing skills in Ballet and Conditioning, Hip-Hop, Musical Theater/Acting skills, and basic Acro. Dancers will have a thorough warm up before delving into basic Acro skills, including cartwheels, aerials, and contortion work. Participants will be busting a move with Hip-Hop during the week, along with learning Broadway-styled Jazz technique! There is also development in acting with partnering activities, monologues, and more. Students will be learning basic technique in voice with breathing exercises, vocal scales and octaves, and learning a song. A snack is included each day. So much to learn while shining bright at Surge! Our Senior Dance camp includes developing skills in Ballet and Conditioning, Hip-Hop, Contemporary, and Jumps & Turns. Dancers will have a thorough Ballet warm up and Conditioning sets before delving into Jumps & Turns. Participants will be busting a move with Hip-Hop during the week, along with learning Contemporary floor work and choreography. Dancers will also learn how to create choreography on their own. Lunch is included each day. So much to learn while having so much fun! Come surge with us! This session is solely for 2019-2020 Surge Studio Competition Dance Team members. Dancers will start off with a conditioning class that includes a thorough warm-up, a portion at the Ballet barre, and stretching. 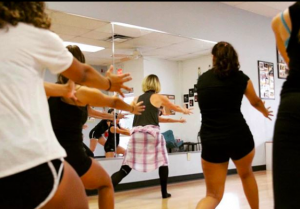 Each day, dancers will learn choreography and skills in Hip-Hop, Contemporary, and Jazz. There are fun team-building activities included each day! There is also a photo shoot session where dancers will learn how to take dance pictures and head shots. The pictures are included in the tuition. Learning choreography for competition team pieces will also begin this week! There is a half hour break with lunch each day, and a small performance at the end of the week.